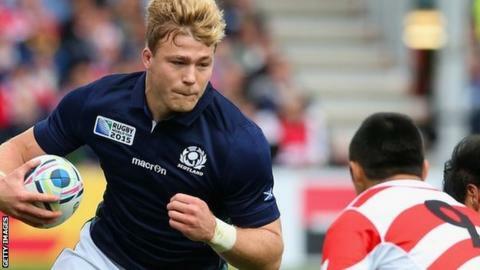 The 25-year-old Scotland international joined from Edinburgh in November and, after two appearances from the bench, he will start against Wasps on Sunday. Bath face Wasps at the Ricoh Arena in the European Champions Cup and Denton feels he can help the club improve their inconsistent form this season. Last season's Premiership finalists have suffered back-to-back defeats in their domestic league. "I feel I've got something to add to this team," he said. "The way I play is a very direct style of rugby and I think I can get this world-class backline on the front foot. "I'm looking forward to getting a start and imposing myself on the game. "We want to get back to winning ways, we need to be winning these big games to be winning big competitions and I'm looking forward to the game." Having lost to Wasps earlier in the season, Denton also says the squad are looking forward to setting the record straight. "It's a tough game," he said. "It's a place where they don't lose often but we are going to take the game to them. "If we play to our full potential - I've seen hints of it in training - we are going to be a very difficult team to stop."